The mystical being known as Mordecai Cull has come to El Paso to help pave the way for the rise of an even more powerful and malevolent entity. 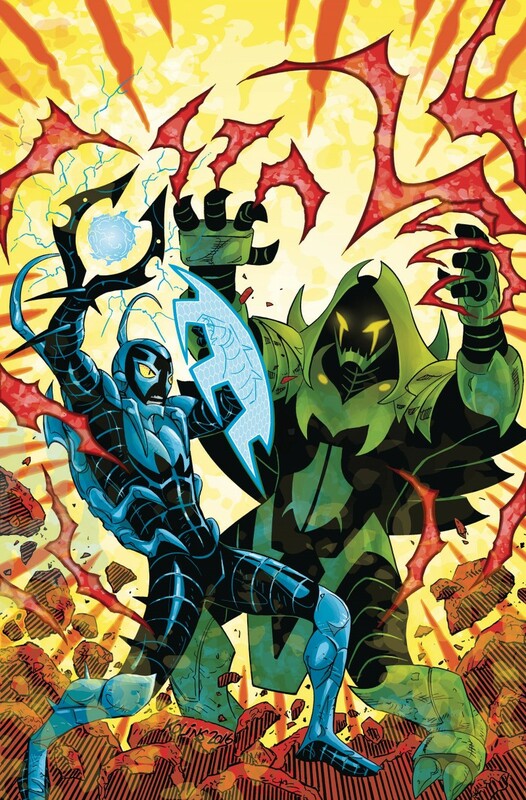 What he wasn’t planning on was facing Blue Beetle and the power of the scarab! Now Cull is out to wrest the device from Jaime by any means necessary. But the Beetle doesn’t stand alone-Dr. Fate’s not about to stay on the sidelines in this epic battle!